A high potency and multifunctional treatment serum with a unique blend of actives to address signs of ageing and hyperpigmentation. 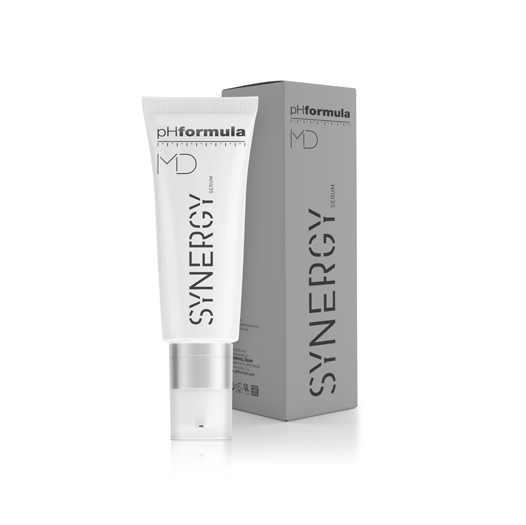 The SYNERGY SERUM increases the strength of the home care treatment protocol when prescribed with other pHformula active recovery products. The synergistic action assist to address severe cases of these skin disorders. Sunburn Alert: This product contains a combination of active ingredients that may increase your skin’s sensitivity to sunburn. Use a sunscreen and limit sun exposure while using this product.